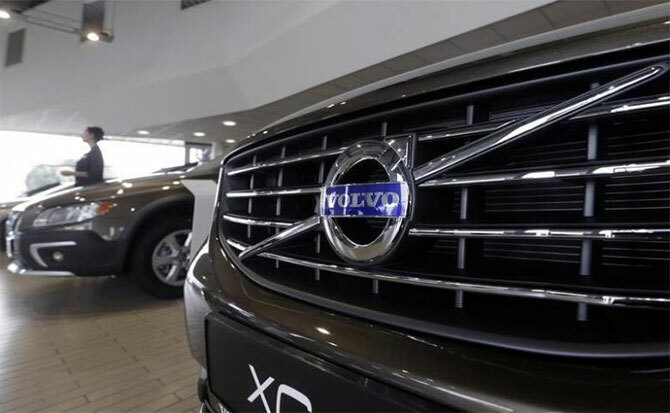 Swedish luxury car maker Volvo has decided to locally assemble cars in India, making the country its second offshore base in the world after Malaysia. The cars will be assembled at the Bangalore facility of commercial vehicle maker Volvo Group India, part of the car maker’s former parent company. The first locally assembled car, attracting significantly lower duties, is expected to roll out by end of this calendar year. Its bestselling SUV XC90 will be the first vehicle to be assembled here before the company looks at assembling other cars in the future. The car maker’s Indian subsidiary, set up in 2007, has been importing completely built vehicles from its plants in Sweden and Belgium, paying a high total duty of approximately 120 per cent. On locally assembled cars (made from completely knocked down imported parts), this could go down to 70 per cent and improve margins for the company. Prices to end consumers do not change though in some states the cost of registration could go down. Volvo Auto India did not announce the investment needed to begin the local assembly. “Local assembly is a step forward for us and it aids profitability. We aim for a ten per cent share in the luxury car market by 2020. This facility will contribute towards that goal,” said Tom Von Bonsdorff, managing director of Volvo Auto India said in an interaction. But localisation (sourcing of local components) is still away. “Localisation will be a question for later consideration. Given the size of the segment, local assembly is the best solution now”, he said. He said it is a strong signal for the company’s dealer partners and other stakeholders. A global team from Volvo had been evaluating options in India and met different companies as it looked for a feasible solution. Volvo, with a five per cent share in domestic luxury market, sold about 1,600 cars in 2016 calendar year, growing more than twelve per cent to its 2015 volumes. Volumes had grown by about eighteen per cent in 2015. The company said the first quarter of calendar year 2017 has also brought a double digit growth. “We look to sell over 2,000 cars in India in 2017 calendar year unless there is an external disruption,” he said. Volvo is expanding its product range in India. The company, which competes with the German luxury trio- Mercedes, Audi and BMW- sells significantly lower volume than the German brands. Mercedes, for instance, sold over 13,000 vehicles last year. The three German companies have a local manufacturing unit and in many vehicles enjoy a high localisation of sixty per cent. Luxury car forms a tiny share of about one per cent in the three million Indian car market. Bonsdorff said the annual luxury car market could reach 50,000 units by 2020.